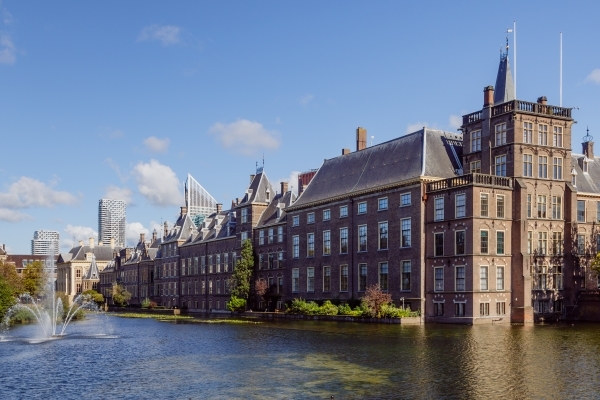 Dutch Additional Tier 1 prices were temporarily hit on 2 July as news emerged that, following a European Commission ruling, they will lose tax deductibility from 1 January 2019. They soon recovered as issuers announced they would not trigger tax calls, but the development leaves some question marks over the wider product. Dutch banks have been able to achieve tax deductibility on AT1 coupons since 2014, when the government adopted rules allowing such beneficial tax treatment, with insurance companies doing likewise more recently for their Restricted Tier 1s (RT1s). But the Dutch government announced on 29 June that CoCos will from 1 January 2019 no longer benefit thus, following a letter from the European Commission’s Directorate-General for Competition on 22 June, which said that the advantageous treatment falls foul of State Aid rules. The Commission found that the treatment is illegal State Aid because the Dutch government’s rules unjustifiably only apply to banks and insurance companies, rather than to the types of instruments, with companies in other sectors unable to benefit similarly. The Commission asked the Dutch government to remove the preferential treatment, reserving the right to initiate procedures if it did not — for example, requiring taxes be paid retroactively on outstanding AT1s and RT1s. Reports also emerged from the Netherlands that the removal of tax deductibility was anyway in line with the government’s agenda, with additional annual revenues of an estimated EUR150m in store. News of the planned change filtered out over the following weekend and on the morning of Monday, 2 July Dutch AT1 prices dropped, with market participants concerned that issuers could exercise tax call options in their documentation and redeem the bonds at par. Rabobank AT1, for example, was seen 1.5 to 2 points lower. However, Rabobank and ABN Amro soon put out statements allaying such fears. “The announced intention by the Ministry of Finance does not currently trigger any change in our views with regards to the role of Cocos as part of Rabobank’s capital strategy nor does Rabobank intend to exercise a Tax Call if the Government’s intention or the materialisation thereof would constitute a Tax Law Change (as defined in the relevant terms and conditions of the capital instruments in scope),” said Rabobank. Dutch AT1 recovered around half of their lost ground later on the Monday and the rest on Tuesday. One market participant highlighted how this echoed the price action in Swedish subordinated debt after a similar discussion on tax treatment in September 2016, after which neither affected AT1s nor Tier 2s were called. Dutch insurers ASR Nederland and Vivat later in the week also announced they do not intend to call RT1 issues. The European Commission also told the Dutch government in its letter that it is examining the tax treatment of AT1 in other Member States, and could take similar action if such issues are identified elsewhere. Market participants have warned that the incident could therefore have wider repercussions. “Where AT1 and RT1 tax deductibility would be different to that applicable to other sectors within the same Member State, it can be expected that AT1 and RT1 coupons would no longer be tax deductible in the near future,” said Doncho Donchev, capital solutions, DCM, Crédit Agricole CIB.